Woodleigh Cottages is a development of only 2 luxury dwellings with a turn key finish. 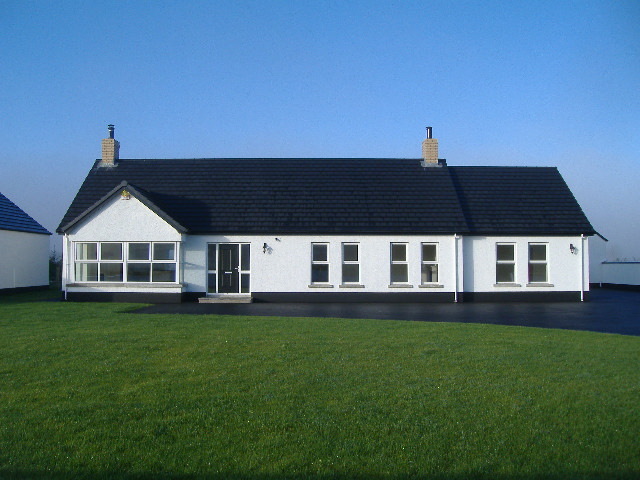 2 Woodleigh Cottages, Dowgry Rd, Clough, Ballymena. BT44 9SJ. Energy efficient condensing oil fired central heating. Pvc windows with Elite glass & Argon filled units. Bathroom, en-suite and cloakroom with associated tiling. Oak internal doors with painted skirting and architraves. Porcelain tiled flooring to Hallway, Kitchen, Utility, and WC. To be constructed. 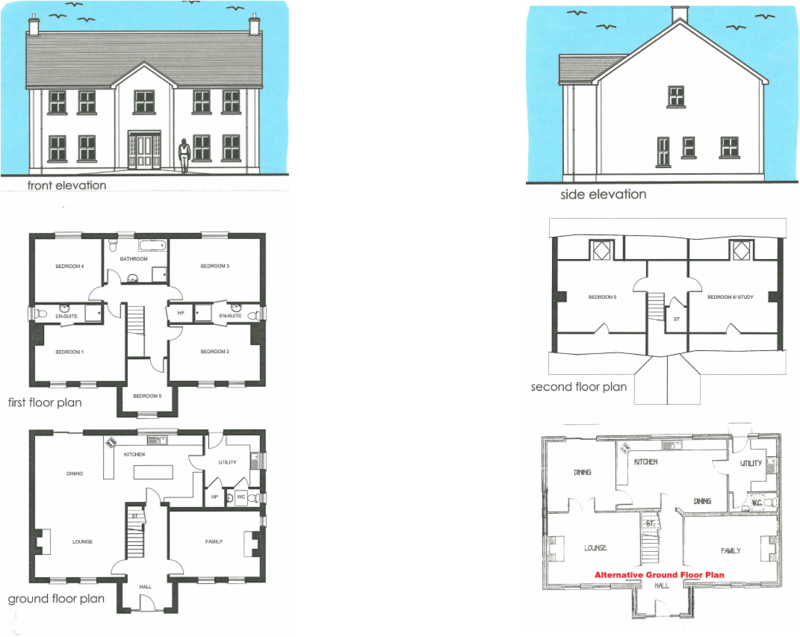 2 Storey Dwelling with optional 2nd floor bedrooms. Ground floor. Open plan Living/Dining/Kitchen, lounge, Utility, Wc. 1st floor. Bedroom 1 with ensuite. Bedroom 2 & 3 with shared en-suite. Bedroom 4, Bedroom 5/ Study, Bathroom. Optional 2nd floor. Omit Bedroom 5 to facilitate stairs. 2 Large rooms. Old Portglenone Rd, Ahoghill, Ballymena. 4 detached 2 storey dwellings. Craigstown Rd, Moorfields, Ballymena. 5 detached 11/2 & 2 storey dwellings. Ballyreagh Rd, Clough, Ballymena. 6 detached 11/2 & 2 storey dwellings. Craigs Rd, Rasharkin, Ballymena. 5 detached 11/2 & 2 storey dwellings. Ballygarvey Rd, Ballymena. 1 large 2 storey dwelling with gate lodge.